7-8-01: The final grades are posted! If you would like to see your final exam or discuss your course grade, I can meet with you on Monday or Tuesday. I recommend that you e-mail me first to set up an appointment. Good luck with the rest of your courses at OSU! 7-5-01: Project #3's answer key can be downloaded from the Projects web page. 7-3-01: IMPORTANT NOTE ABOUT PROJECT #3: There is a misprint on #2e. The sample found p_hat=0.53, not p=0.53. If you have any questions about this change, please ask. Remember that Scott will be available in SLIC at 9:30-10:30AM and 4-5PM on Tuesday, Thursday, and Friday. 7-2-01: The answer key to test #3 is now available of the tests and quizzes web page. 6-29-01: The WebMAC survey is due on Tuesday, July 3. 6-28-01: Project #3 can be downloaded from the Projects web page. 6-28-01: Project #2's answer key can be downloaded from the Projects web page. 6-26-01: Test #2 grades are now available on the grades web page. 6-22-01: The original formula sheet posted had a small error. For an exponential distribution, m=1/A and s2=1/A2. This was fixed at 2PM. 6-22-01: Virtual office hours will be held on Sunday, June 24 at 8-9PM in the chat room. 6-20-01: The formula sheet for test #2 is posted on the tests and quizzes web page. 6-20-01: Project #2 can be downloaded from the Projects web page. The project is due on Wednesday, June 27. 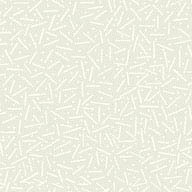 6-19-01: Test #1 grades are now available on the grades web page. Remember if the first digit of your login name or password was a number, an "a" has been inserted before it. Also, there were some login name and passwords that were unreadable. If you can not access your grades, this is probably the cause. E-mail Scott Stewart at stewasa@okstate.edu with your login name and password to fix the problem. 6-18-01: The test #1 answer key has been posted to the tests and quizzes web page. The tests have NOT been graded yet. 6-15-01: Virtual office hours will be held on Sunday, June 17 at 7-8PM in the chat room. 6-15-01: Question #5 of Test #1 is posted on the tests and quizzes web page. 6-15-01: Test #1 is Monday, June 18. 6-14-01: If you are interested in obtaining a 30-day trial version of Office XP, go to the Microsoft website at www.microsoft.com/office/evaluation/trial.htm. This contains the latest release of Excel called Excel 2002. 6-14-01: Project #1 is now posted on the Projects web page. This project is due on Wednesday, June 20. 6-13-01: Homework problems for Chapter 3 have been posted to the Homework web page. 6-12-01: SLIC information is now posted on the Syllabus web page. 6-12-01: Homework problems for Chapter 2 have been posted to the Homework web page. 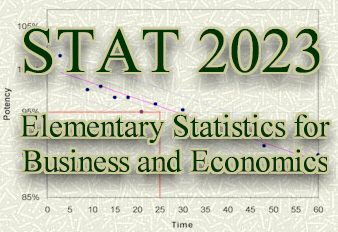 6-11-01: Welcome to the STAT 2023 website! Look for important class announcements here throughout the semester. This website was last updated on August, 2001.